Amid reports that Twitch’s top dog, Tyler ‘Ninja’ Blevins, has been surpassed in subscribers on the platform — which is a stat that Twitch doesn’t publicly break out — the 27-year-old has expressed his irritation with onlookers constantly trying to crown a successor. While Ninja has by far and away the most followers in Twitch, at 13.1 million, reports are circulating that two fellow creators are gaining ground — or perhaps have even surpassed him — in terms of subscribers. With Twitch subscriptions, viewers pay at least $5 per month for various perks furnished by streamers. Dexerto noted on Tuesday that former Counter-Strike pro Jaryd ‘summit1g’ Lazar, who now mostly streams a game called Sea Of Thieves, had surpassed 40,000 subscribers. At the same time, unofficial stat sites like Twitch Stats pegged Lazar’s subscriber count as higher than Ninja’s. (It’s worth noting that Ninja now appears to be back at the top of Twitch Stats’ ranking, with 44,600 subscribers to Lazar’s 44,200). But Lazar isn’t the only gamer giving Blevins a run for his money. 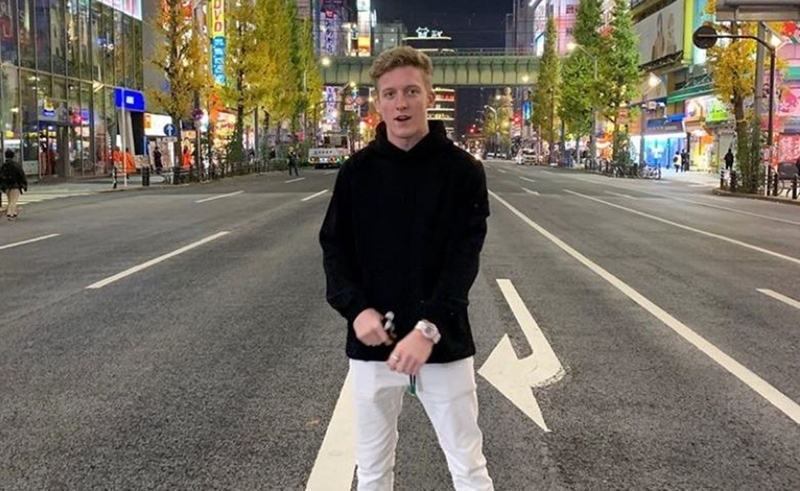 Fellow Fortnite star Turner ‘FaZe Tfue’ Tenney (pictured above) made waves yesterday when he tweeted out his own subscriber count, revealing that he had amassed a whopping 53,523. Assuming that most of these subscribers are paying $5 — though many could be paying more — this means that Tenney is taking home at least $133,800 per month via subscription earnings alone, as Twitch reportedly pockets about half of subscription revenues.